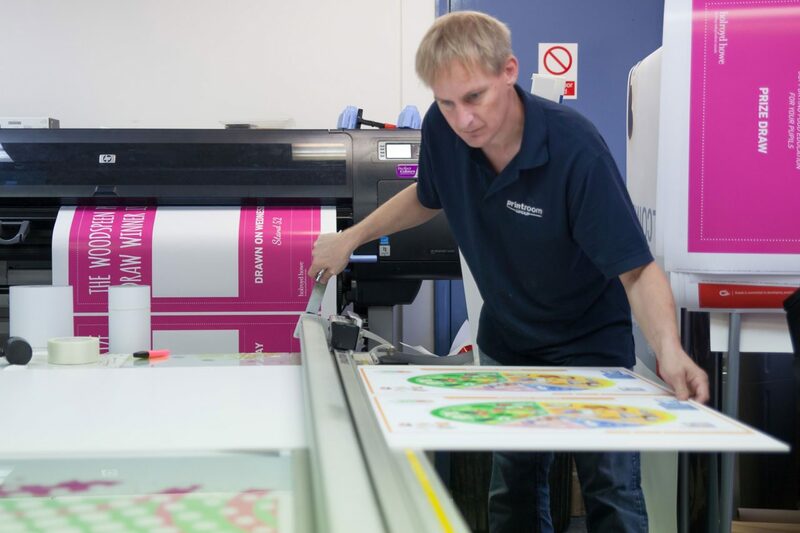 The Printroom Group offer a full printing service for restaurants, bars, coffee shops and other food outlets. 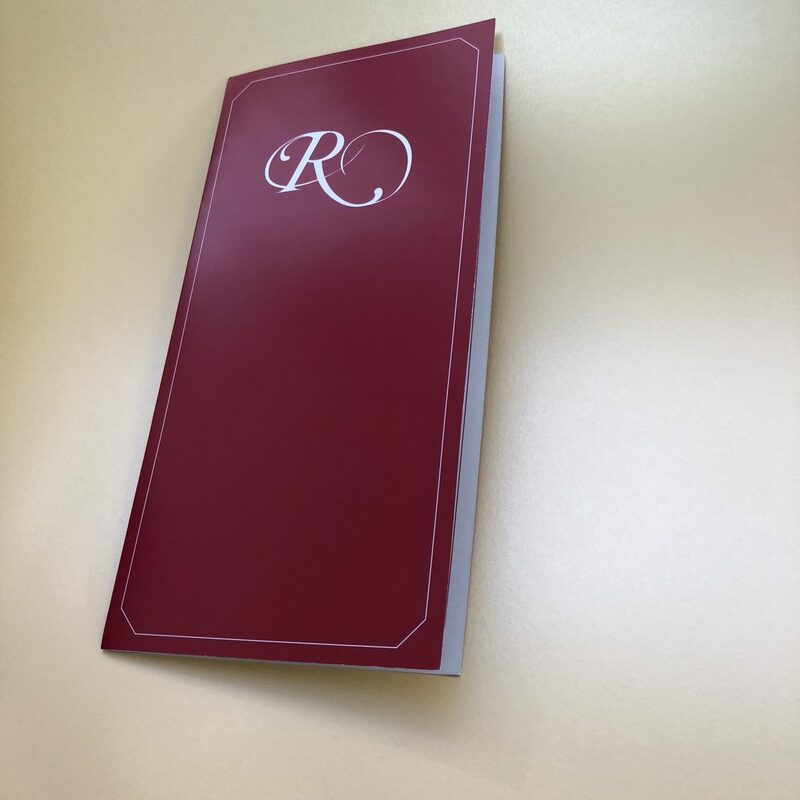 We can offer menus in various shapes and styles to suit any type of restaurant. 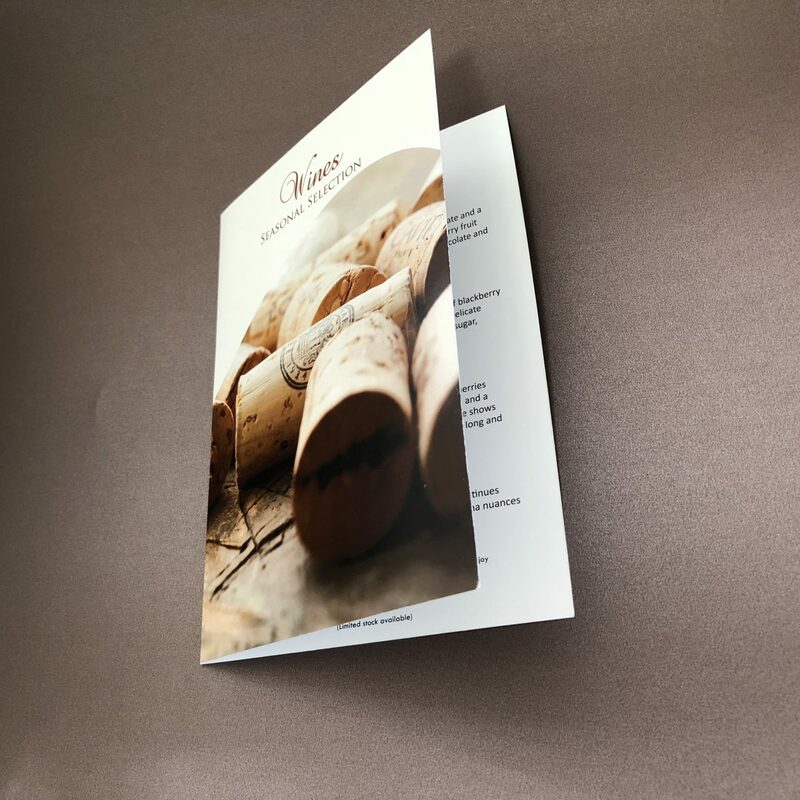 Printed table talkers are a three-sided, self-standing card brochure that can sit on your tables highlighting special offers, wine lists or chef’s specials. 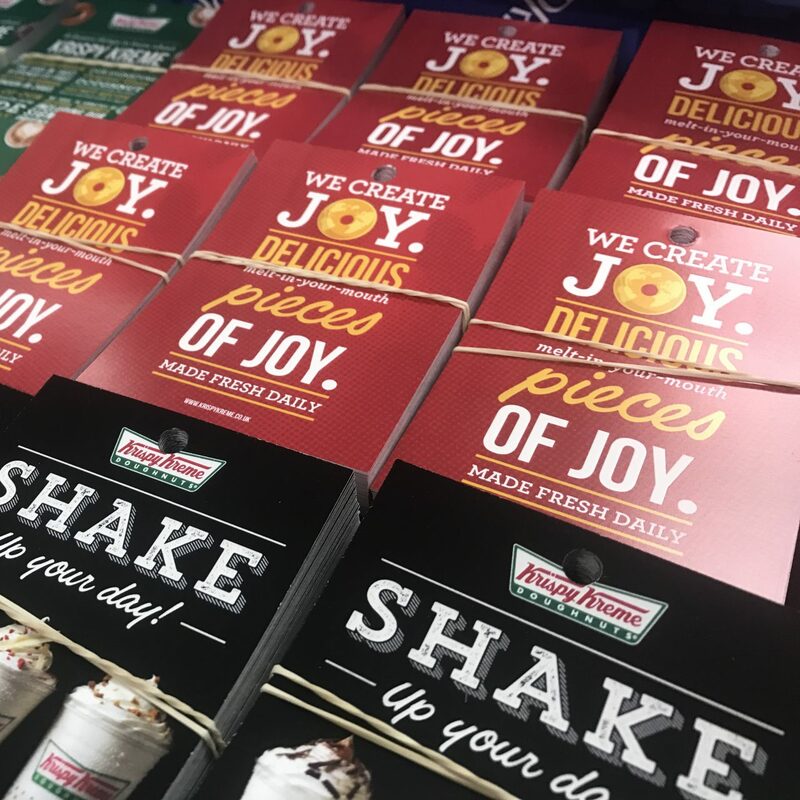 Promote your business with bright vibrant colourful flyers and leaflets printed onto various gloss, silk or matt stocks. 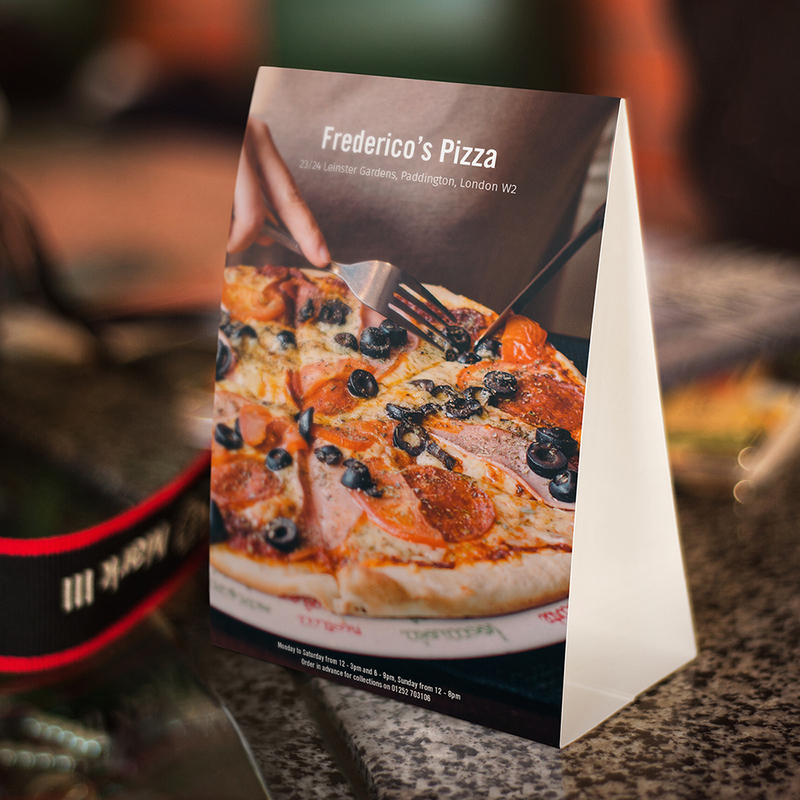 Both indoor and outdoor signage is available, printed in photo quality on the latest HP printers. 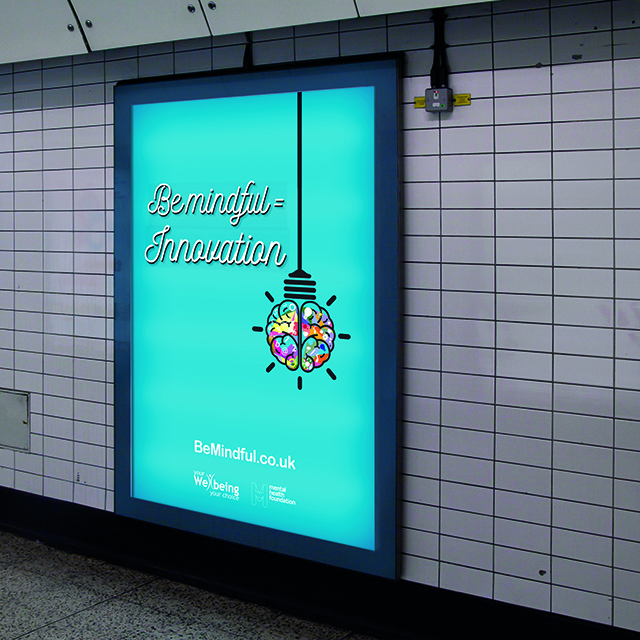 Create an ambience in your premises with bespoke personalised printed wallpapers. Available for either long or short term use. Self-adhesive or pastable. Available in any size, either black and white or colour. 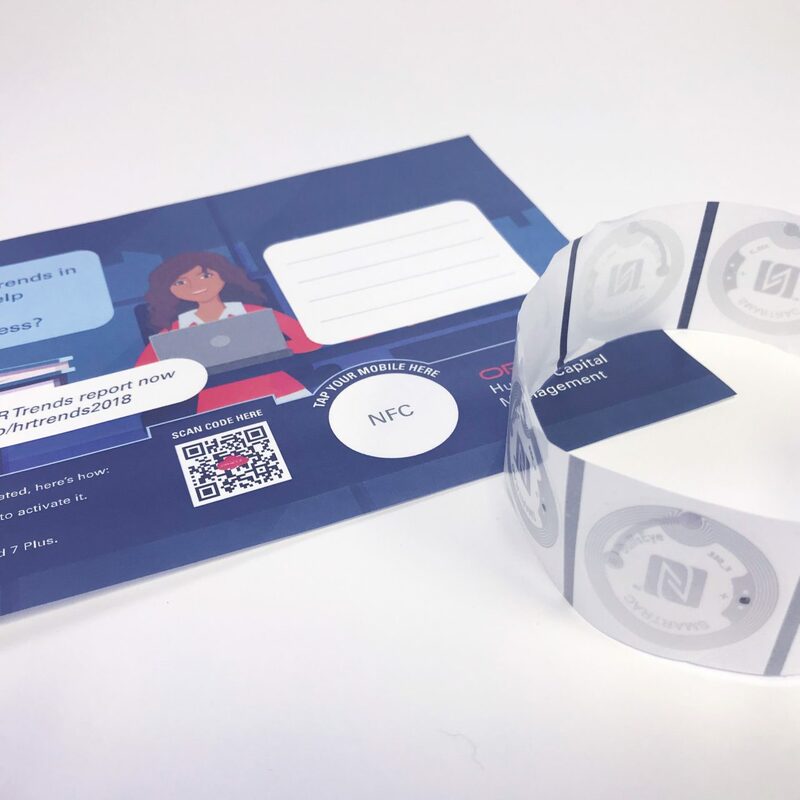 Two- or three-part pads are available printed on NCR or duplicate carbonless paper. 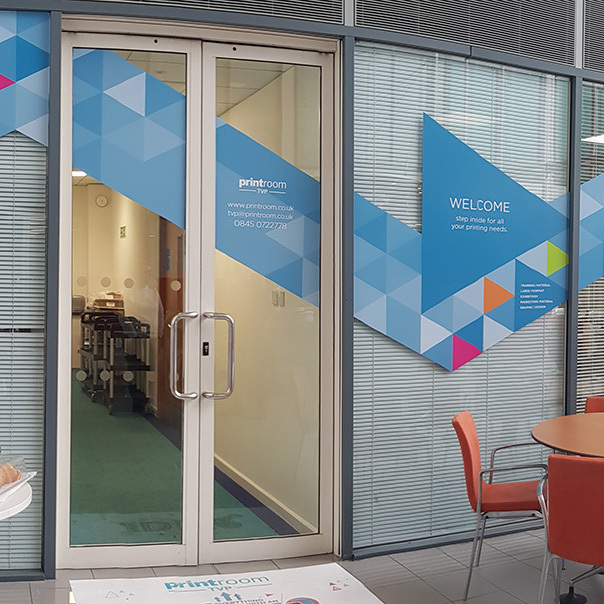 Printed in vibrant colours on either indoor or outdoor vinyl, you can promote your business with our printed window graphics. 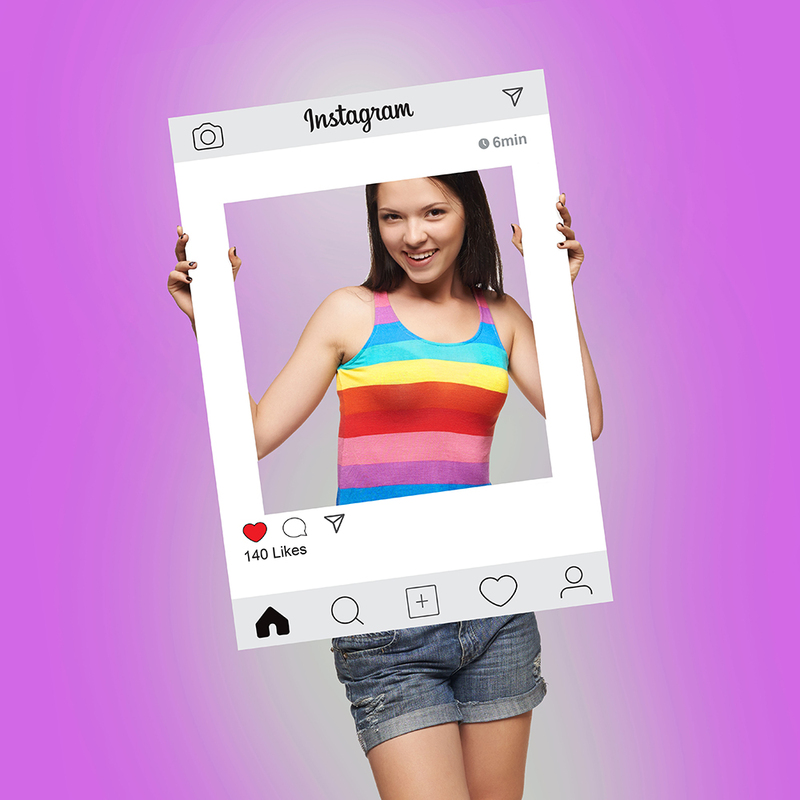 Let your customers promote your business on Instagram, Facebook and Snapchat with personalised, branded selfie boards. 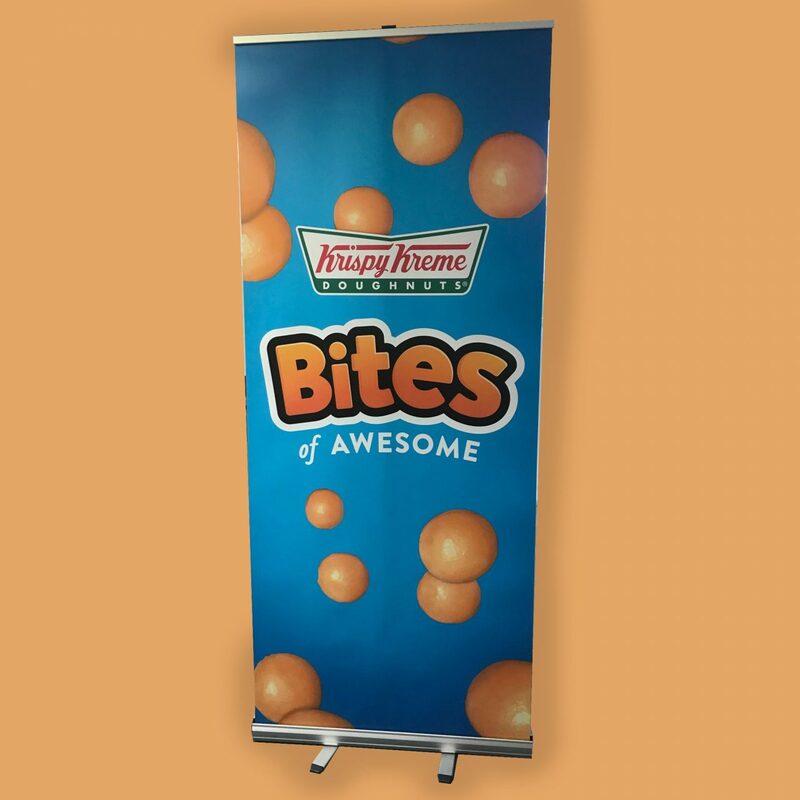 Promote your menus, products or special offers in store with high-quality printed roller banners. Available in either single or double sided options. 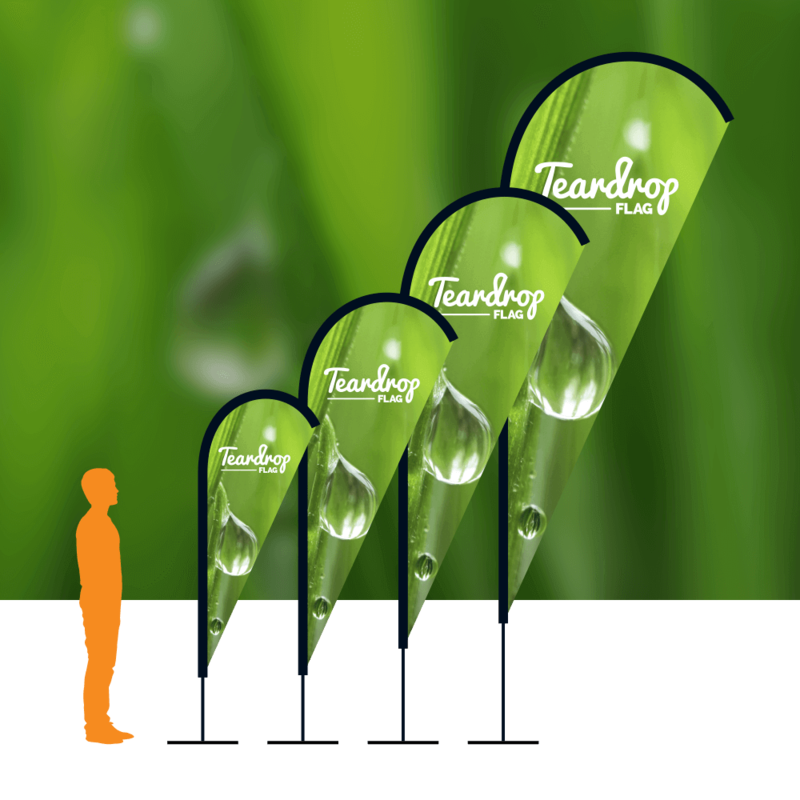 Promote your business with our weatherproof outdoor printed flags. Printed on high-quality fabric in vibrant colours with three flag styles (all available in small, medium, large and extra large). 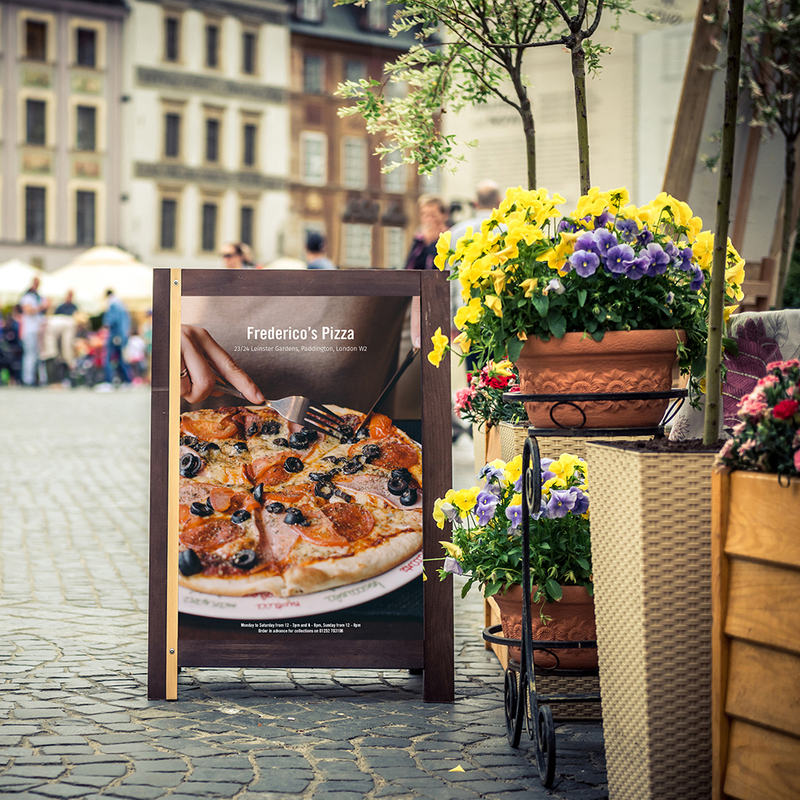 Promote your eatery with an outdoor A board. Do you have different restaurants in different locations? 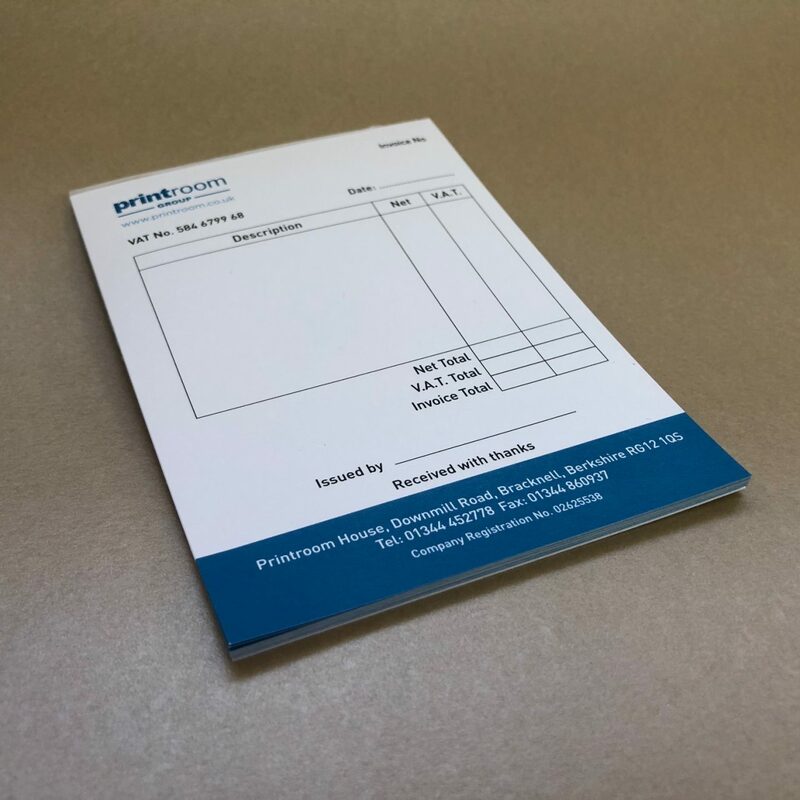 If so, The Printroom Group’s online marketing software allows your managers to order your products from your own branded website. 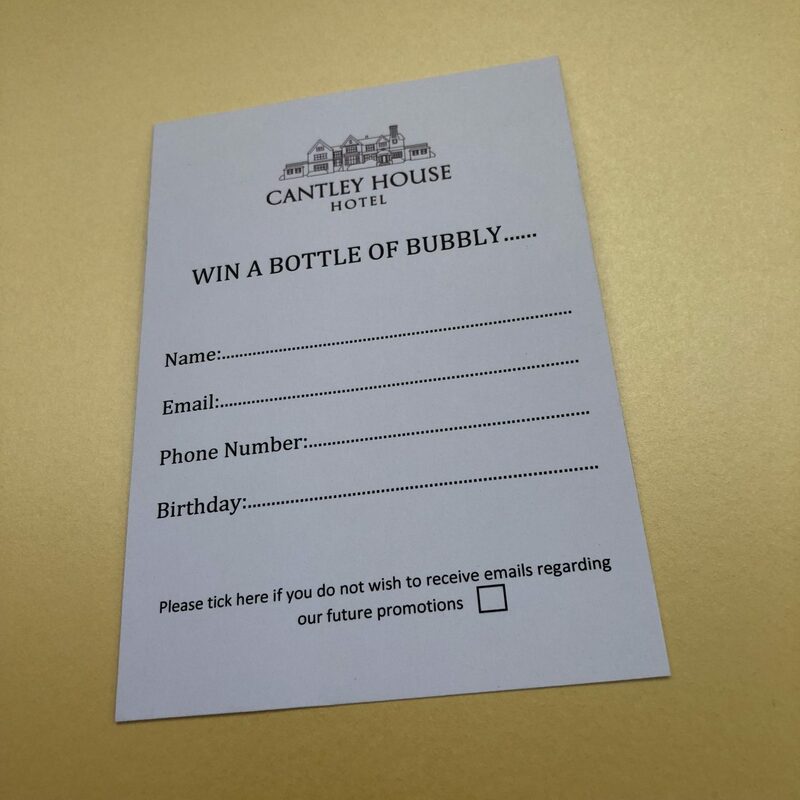 Managers can amend variable fields like opening times, special offers and more. 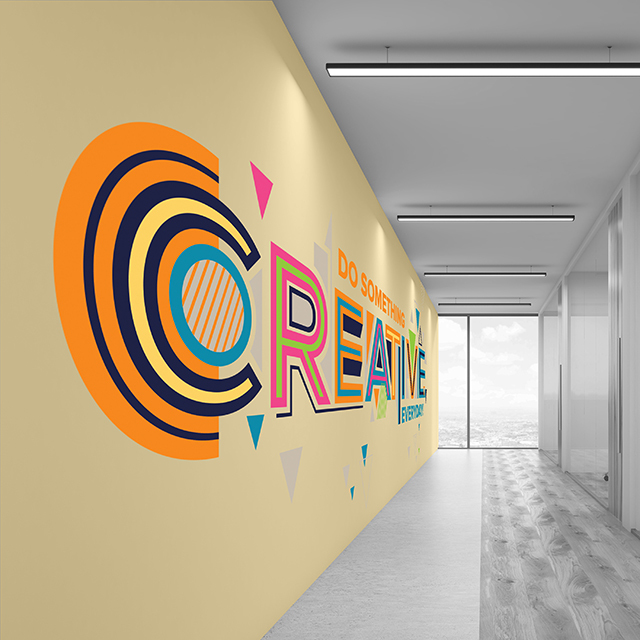 If you need help installing your printed items (window vinyls, wall art, hanging banners, etc.) please feel free to give us a call. We have a team of national installers who are able to help fit your products quickly and professionally. 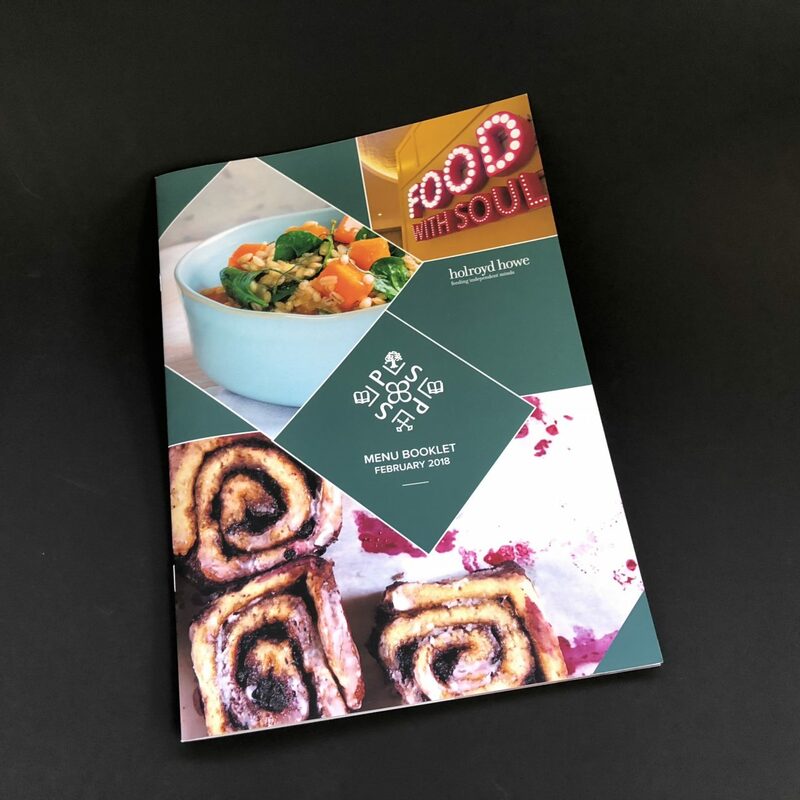 Backed up by a graphic design studio if needed, The Printroom Group can offer you a full package for coffee shops, bars, restaurants, delis and takeaway food outlets.